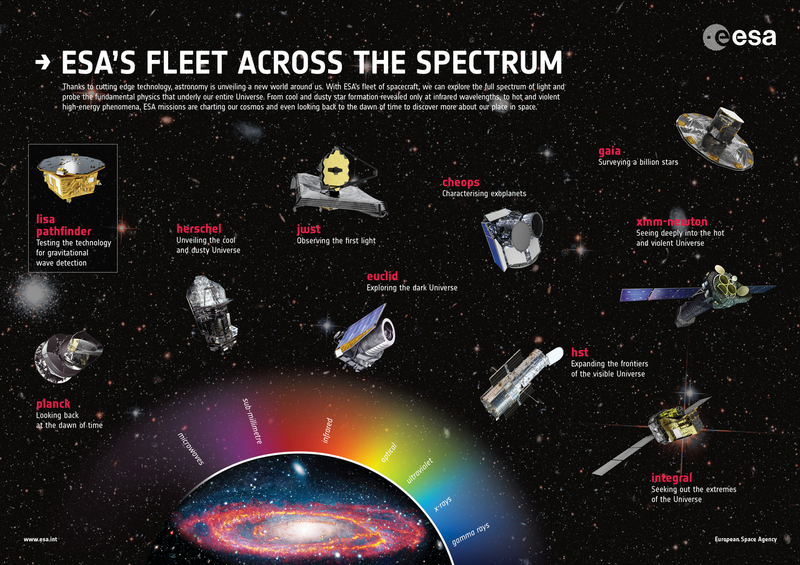 Today, missions operated by ESA are observing the Universe from space, with planning in progress for future astronomy and astrophysics missions including Solar Orbiter and Euclid. What about the origin of the Universe itself? If we could ‘see’ microwaves, the night sky would glow with the very first light ever released into space. This was emitted by the Big Bang – the event in which the Universe itself was created. Studying this background of this light may reveal not only the origin of the Universe but, amazingly, the evidence about how the Universe will end. It could tell us whether the Universe will expand forever or collapse in on itself, thousands of millions of years from now. To support current and future observatory missions, the Agency's operations teams are honing the expertise required to fly spacecraft to destinations such as the L1/L2 Sun-Earth Lagrange points, to downlink extremely high volumes of data and to ensure absolutely accurate attitude control in cases where traditional techniques would be too disruptive to ultra-precise science observations. Integral operations The Integral mission is providing new insights into the Universe's most violent and exotic objects, such as black holes, neutron stars, active galactic nuclei and supernovae.